Millet, an ancient grain, helped build and sustain humans for over 10000 years across Asia and Africa, and remains the sixth important grain in the world. With renewed focus on healthy living and growing appetite for gluten-free food, this grain is slowly becoming popular in Europe and the US, where it was earlier used as livestock fodder and birdseed. While some Asian countries have seen rice and wheat replacing millet in urban kitchens, it is still one of the staple foods for 1/3 of the world’s population. 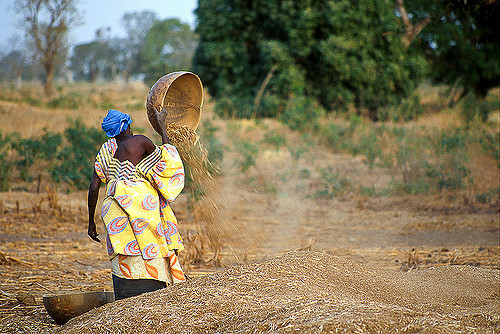 Millet finds its way into main courses, breads, beverages and desserts in Africa and India, and is made into a porridge in countries like Russia, Germany, and China. If you are convinced about the benefits of millet benefits after reading this article, try our new easy delicious recipe – Millet Upma! What made millet so popular with cereal eaters, that it even finds a mention in the Bible and Vedic Texts? For one, the grain is drought resistant and can grow in nutrient-depleted soil. Compared to rice and wheat, this gluten-free grain is more nutritious and rich in important minerals like copper, magnesium, zinc, calcium, iron, selenium and phosphorus, and vitamins like folate, B12, niacin and thiamine. In addition to amino acids and dietary fibre, millet is a good source of proteins for those on a plant-food diet. There are over 500 variations of this seed-grain species, a native of North Africa. Merely a handful are cultivated for human consumption. Most people are familiar with pearl millet, but there are other millets rich in nutrients like finger, foxtail, proso and fonio. Millet – grain and flour – lends itself to a variety of dishes from pilafs, flat breads and cookies, to porridges, health drinks, salads and sides. – Millet can reduce migraine and asthma attacks. Studies have demonstrated the role of magnesium in the treatment of respiratory conditions like asthma, migraine headaches, diabetes related heart disease and blood pressure. – Millet acts as dietary aid for sufferers of autoimmune disease like celiac. Gluten, a protein, found in certain grains like wheat, barley, oats, and rye can cause digestive problems in people with gluten-sensitivity or those with celiac disease. Millet is one of the more nutritious, gluten-free grains that can become part of their everyday diet. – Millets improves immune system. This grain is rich in antioxidants that reduce toxins in the body and prevent oxidation in cells. This helps keep your immune system healthy and may delay aging. – Millet can reduce gut sensitivity and gastrointestinal conditions. Millet has alkaline properties and can help balance the PH levels in your body. It also acts as a prebiotic, prevents candida infections and ulcers, and improves gut health. – Millet are easily digestible grains. It is a major reason for its use as baby food in India and parts of Africa. If you suffer from digestive problems like flatulence, cramping and bloating on consuming beans and milk, add millet to your diet. Try a millet fritter for breakfast or lunch. – Millet contains lignans. These plant compounds can protect against heart disease and prevent certain cancers like colon and breast cancer. – Millet may enable weight loss. As this cereal is high in dietary fibre, it helps you remain satiated for longer. Phosphorous content in millet boosts metabolic rate in the body. This can help in long-term weight reduction. – Millet has detoxifying properties. Have a multi-grain porridge or health drink regularly to help detoxify and remove waste from your organs. This further enhances the smooth functioning of your liver and kidney. – Millet can prevent type 2 diabetes. Magnesium promotes insulin efficiency and improves glucose absorption by the body. This grain also contains beta-glucan, a dietary fibre, that regulates blood sugar levels for over 10 hours in the body. Coupled with a low-glycaemic index, these compounds make it an ideal food to prevent insulin resistance and diabetes. – Millet can protect against heart disease. Niacin in millet reduces blood cholesterol. Regular consumption of millet decreases C-reactive protein and triglycerides in your lipid profile. A word of caution: Excess consumption of millet can lead to iodine deficiency and thyroid swelling or goitre. It is vital to soak millet before consumption – at least for 30 minutes, and ideally overnight. As always; our advice is incorporate a variety of cereals in your diet, and not eat one or two grains alone.